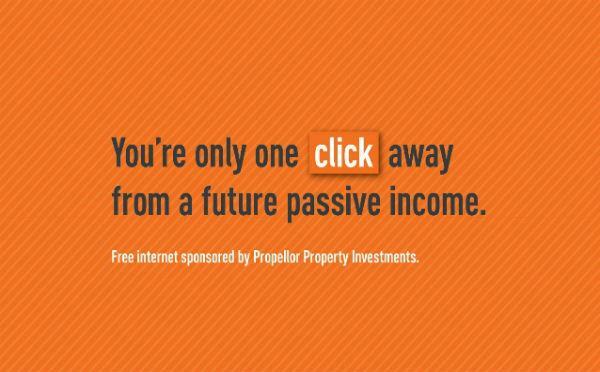 Media release, Propellor Property Investments, Christchurch, New Zealand, December 9, 2011: Christchurch based property investment company Propellor Property Investments has innovated once again, by sponsoring free public internet kiosks at Auckland Airport. Principal Nikki Connors says the company chose to provide free internet for domestic airport travellers as part of its marketing programme for this year, because it was a great way to give something back to local travellers, while raising the profile of Propellor at the same time. Propellor has sponsored six internet kiosks for public use, and Connors says the response from the travelling public has been very positive. Propellor is making a name for itself through an innovative approach in property investments, appealing particularly to first time property investors who want to start a portfolio as a retirement strategy. The company has offices in Christchurch and more recently in Auckland as the reputation of the company and the demand for its unique services increases both throughout New Zealand and off shore. Connors has brought her experience in the marketing and strategic growth sectors to bear in creating an investment model that is transparent, easy for investors to understand, and provides quick access to all the necessary support services. Her many years in the property industry mean she also has access to quality investment property that is not usually available on the open market. Support from all the major banks has also meant that Propellor clients are finding it easier to access finance for the purchase of their investment properties. Within three short years, Propellor has garnered a solid reputation as one of New Zealand’s most respected property investment companies; Auckland and Christchurch locations also mean they have a nationwide reach. She says the company will continue to look for innovative ways they can contribute to making the lives of middle New Zealanders a little easier, while at the same time continuing to spread the word about their investment services. In 2012 the company will launch a unique initiative to aid in providing housing to those less fortunate around the world. Further details will follow and be outlined on the Propellor website.